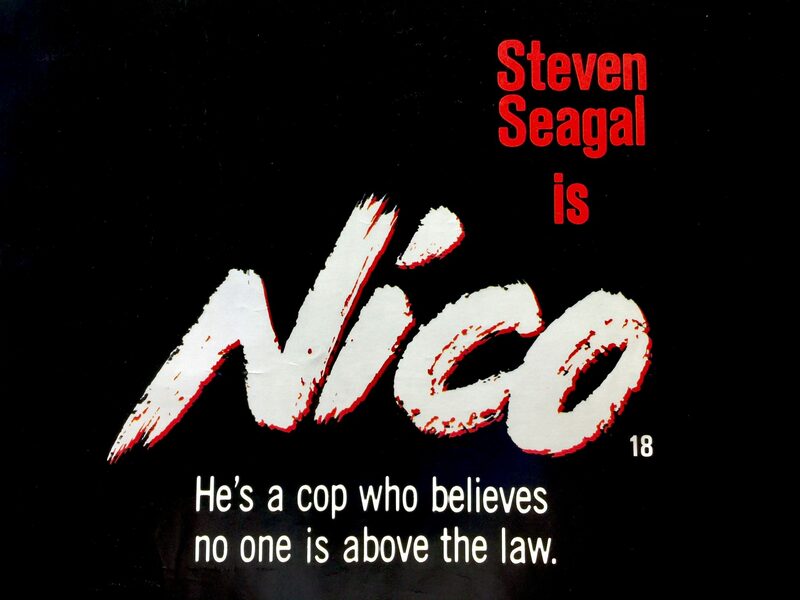 Above the Law (also known as Nico) is a 1988 film directed by Andrew Davis. 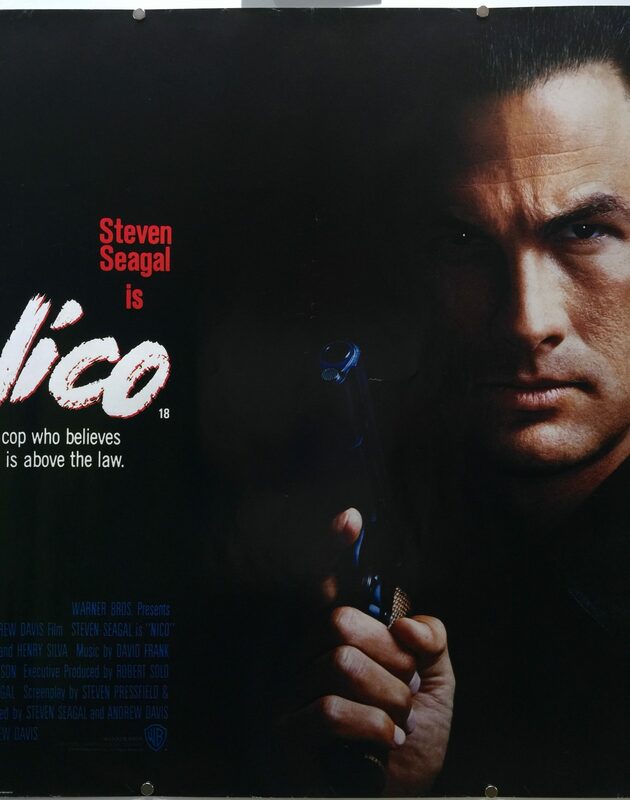 He also co-produced the film with Steven Seagal and co-wrote the screenplay with Steven Pressfield and Ronald Shusett. 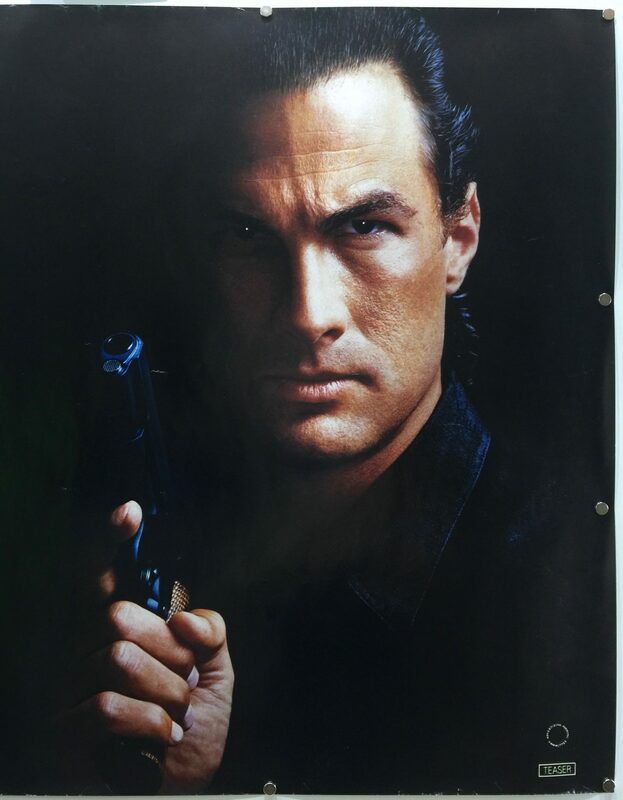 It is based on an original story devised by Steven Seagal and Andrew Davis. 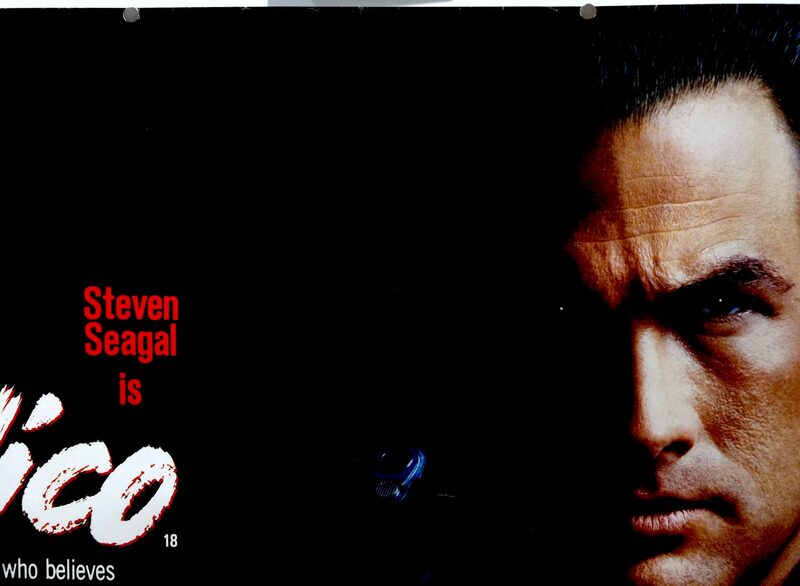 The film stars Steven Seagal, Pam Grier, Sharon Stone, Daniel Faraldo and Henry Silva. 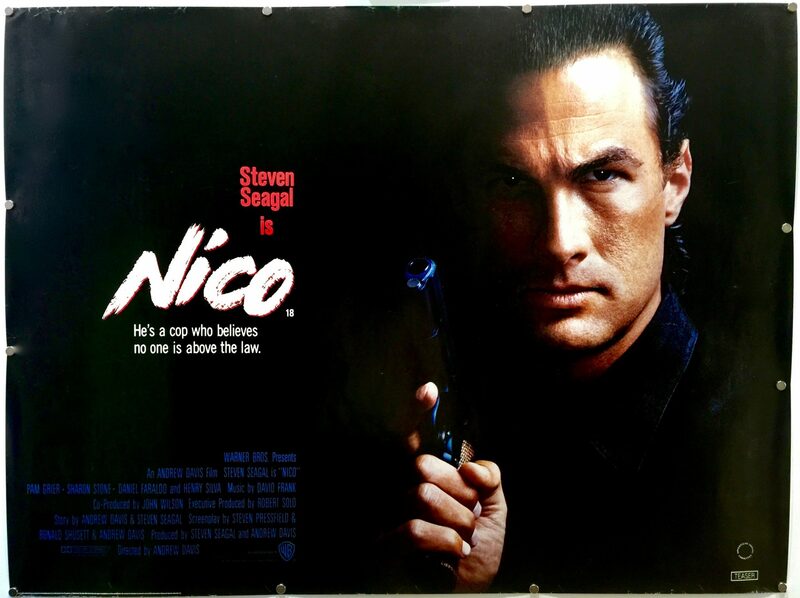 The storyline follows Sergeant Nico Toscani, a native of Palermo, is a detective in the Chicago Police Department’s vice squad. 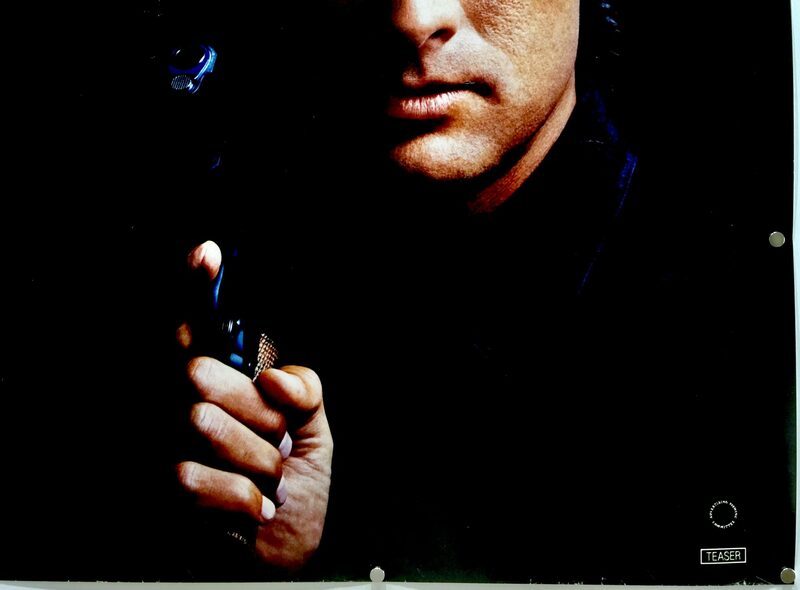 Before joining the Chicago PD he was recruited into the CIA by Special Agent Nelson Fox. 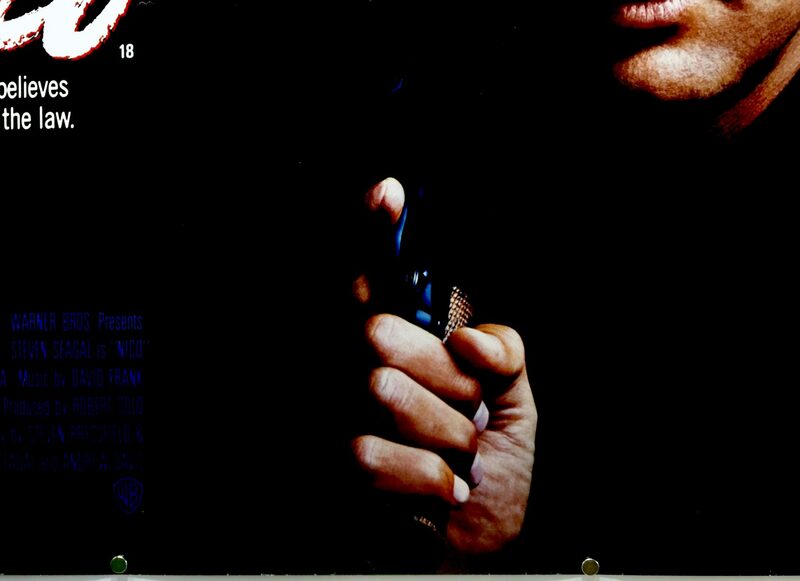 He was involved in covert operations on the Vietnamese-Cambodian border during the Vietnam War. Whilst there he became disgusted with the station chief Kurt Zagon, due to his ethics in torturing POWs. 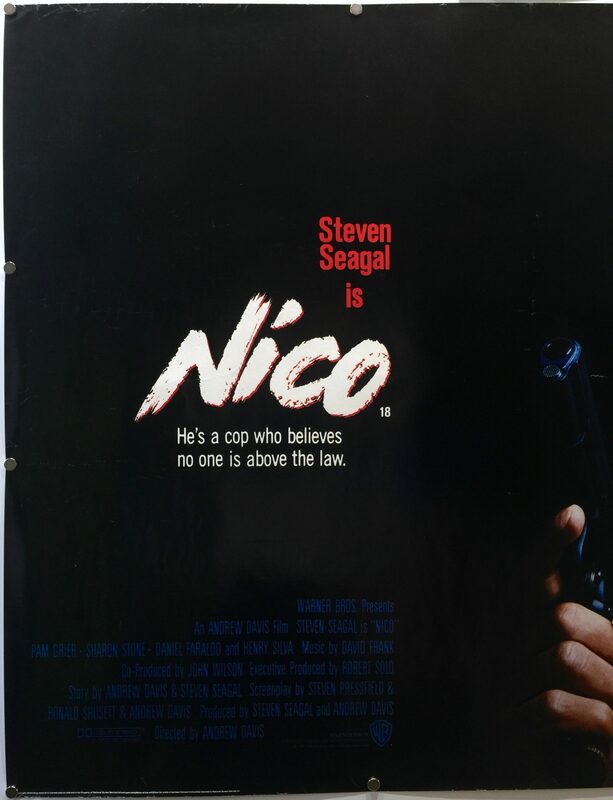 A stand-off occurs when he tries to stop a torture session and he leaves the CIA. Returns to Chicago and joins the CPD. While working for the CPD he investigates a drug ring and finds a cache of C4 explosives. What follows sees the FBI involved and told not to proceed with the investigation. 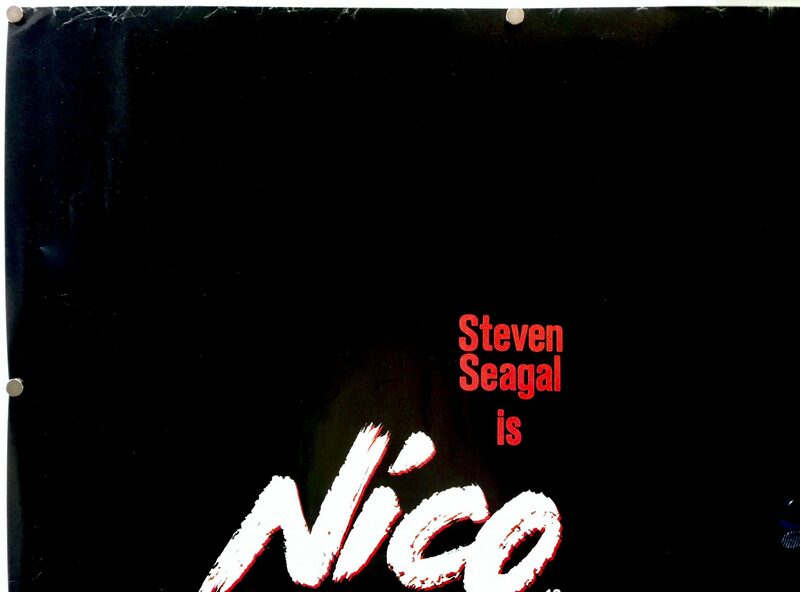 Undeterred, Nico follows a path just as corrupt as when he was in the CIA and eventually leads to Zagon. 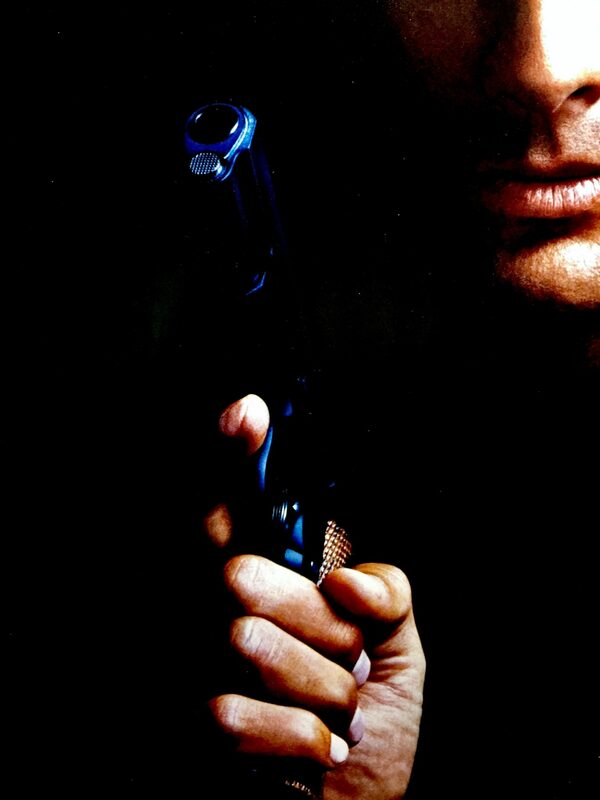 The production and filming was completed entirely in Chicago, Illinois. 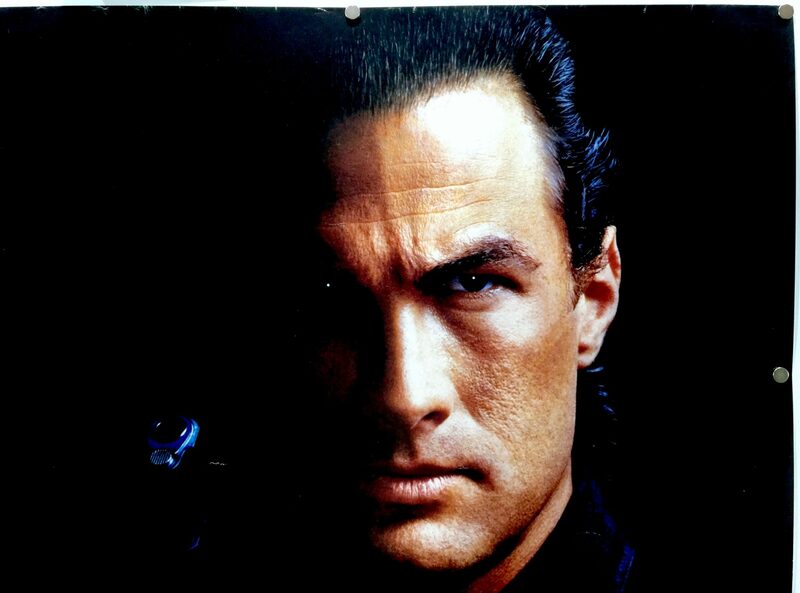 It is rumoured that Steven Seagal was asked to make the film by his former aikido pupil, Michael Ovitz, who believed that he could make anyone a movie star. 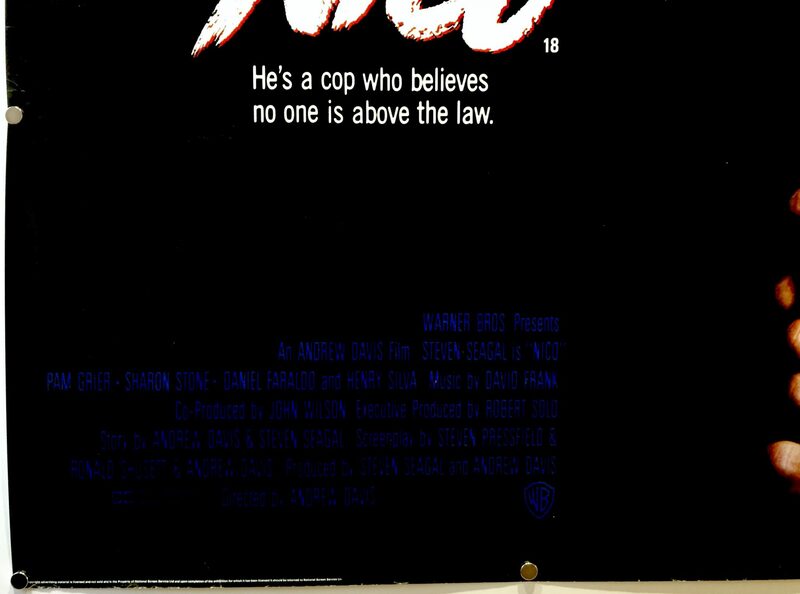 Upon its release Above the Law received mixed reviews with Roger Ebert of the Chicago Sun-Times stated “It contains 50 percent more plot than it needs, but that allows it room to grow in areas not ordinarily covered in action thrillers”. 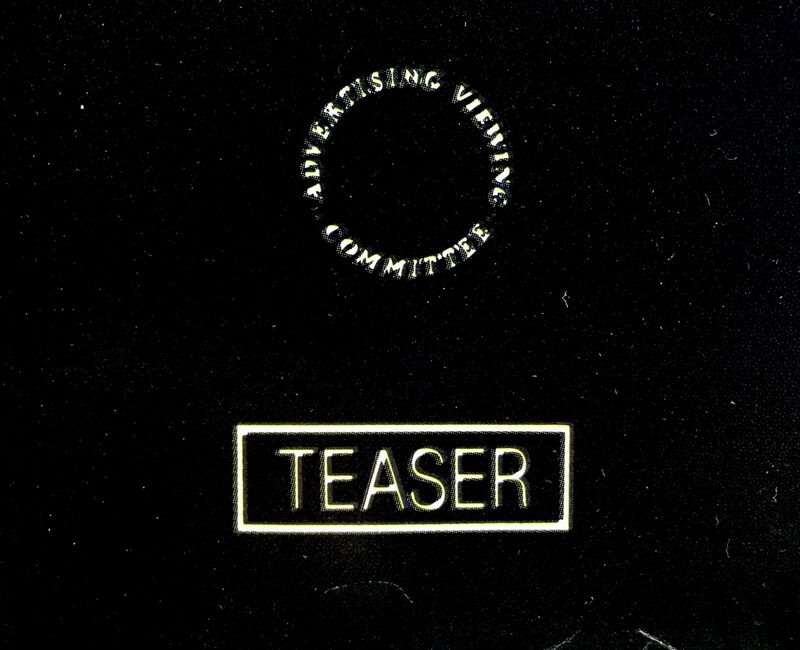 However, Hal Hinson of the Washington Post criticised it as “woefully short on originality”. Produced on an estimated budget of $7.5m it is considered a financial success. 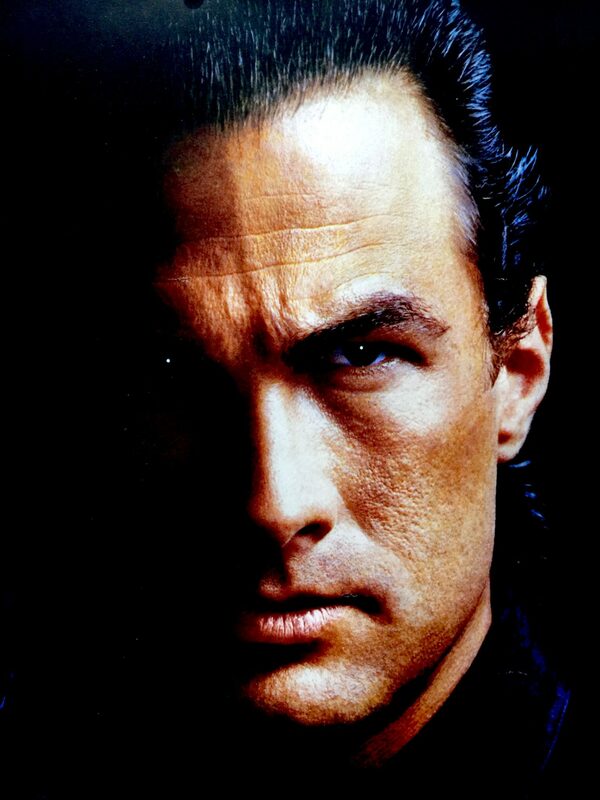 Above the Law made $2,037,938 in its opening weekend and grossed $18,869,631 in overall box office receipts in the US.